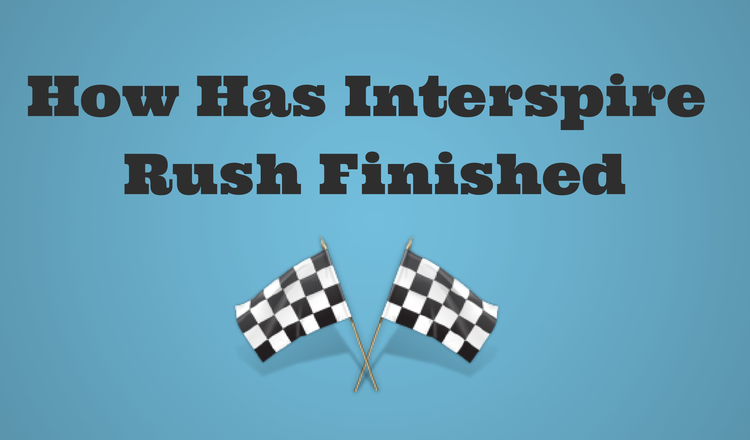 How Has Interspire Rush Finished? July 1, 2012 was a doomsday for thousands of merchants who were under Interspire umbrella. It has been the moment of the shopping cart discontinue and the time of confusion for online retailers. However, a great part of its users have made a decision to migrate from this condemned solution. Therefore, let’s explore the way Interspire users have chosen and the shopping carts that have attracted their interest. When Interspire was launched in 2003, SaaS has been only a concept. So, through the years of constant technology development platform has faced a set of challenges. Starting a new project of Bigcommerce shopping cart in 2009, they gave a birth to one of the popular solutions on e-Commerce. However, it has also led to reconsidering of the market situation and making the decision to shut down Interspire. So, what did it mean for webstore owners who were using the platform? It has became a challenge to manage a store with possibilities which would not be extended or improved any more, and feel the limitations at the every stage of administration. Such prospects are not cheering up, right? Thus, it seemed like the perfect solution of encountered problem to switch to another solution. Cart2Cart has made a deep analysis of migrations that have been performed from Interspire using our service since its discontinue. Have a look at the statistics below to have an idea of situation. Selecting the most powerful shopping cart among thousands of other e-Commerce solutions can be quite understandable. Currently Magento has gained the largest community of fans including 800 000+ members and conquered a share of 26% on market. Comparing to Interspire it has a set of similar features like strong SEO, high customizability features thanks to being open source platform, etc. However, it is not a secret that Magento management requires possessing some programming skills that are needed for successful settings adjustment. The major advantages of shopping cart are unlimited products number, responsive templates, multi-stores creation option, multiple currencies and languages. Together with these possibilities Magento offers constant updates and improvements, what actually Interspire users cannot get from their discontinued solution. Also, there is a possibilities to extend Magento’s functionality with numerous extensions (6 400+ add-ons) that are available on its marketplace. Another platform which has been migrated to by 17% of ex-Interspire retailers is WooCommerce that is well-known as the world’s fastest growing shopping cart. 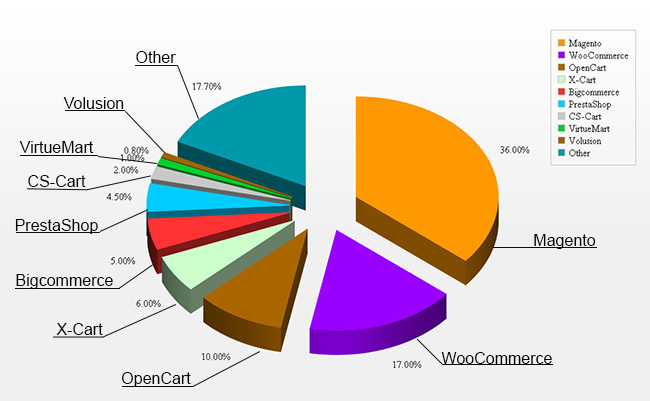 Being a WordPress plugin with unlimited content management possibilities keeps merchants interest. It is ready to satisfy tastes of picky vendors that want to make their stores unique and bright. So, one of its numerous pros are 100+ free and paid eye-catching templates that can create unforgettable impression on customers. Also, it doesn’t demand any technical skills and can be set up and managed really easily. WooCommerce provides lots of marketing tools like coupons, integration with a variety of shipping and payment gateways. As well as Interspire it offers set of search optimization features with meta information, SEO-friendly URLs, etc. Third place considering the transfer from Interspire is taken by OpenCart. This solution became a good alternative for 10% of e-merchants which take up such option. No wonder why, as its intuitive interface makes online shop administration effortless and multiple store option gives a possibility to manage more than one store with the only back end. Furthermore, in-built SEO options can help to make your business visible in Google and other search engines. Facing no limitations like in Interspire, OpenCart users can add indefinite number of products and categories, enjoy promotional tools with gift certificates and loyalty programs. So, this platform appears to be a solution that is ready to meet users demands. It is worth mentioning that Bigcommerce offers its own solution for migration. This appears the main reason why a great part of stores have been moved to that shopping cart. Nonetheless, there are still users that have some hesitations and stay with Interspire till now. If you are among them and want to switch to another platform, but fear and doubt of migration appear to be an obstacle, then Cart2Cart is a perfect tool to save your business. Try Demo Migration and create a modern store just in a few clicks with us!